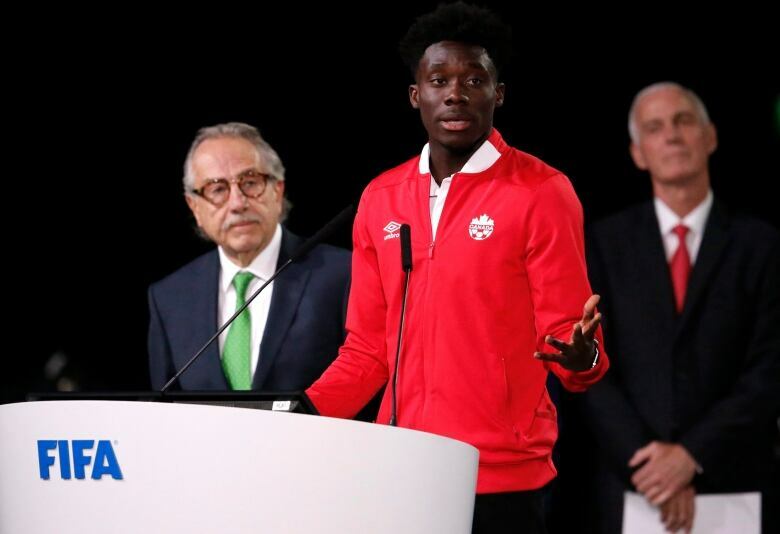 Edmonton-raised soccer phenom Alphonso Davies is ending an exciting summer by contributing to Canada's efforts to make the 2022 FIFA World Cup. 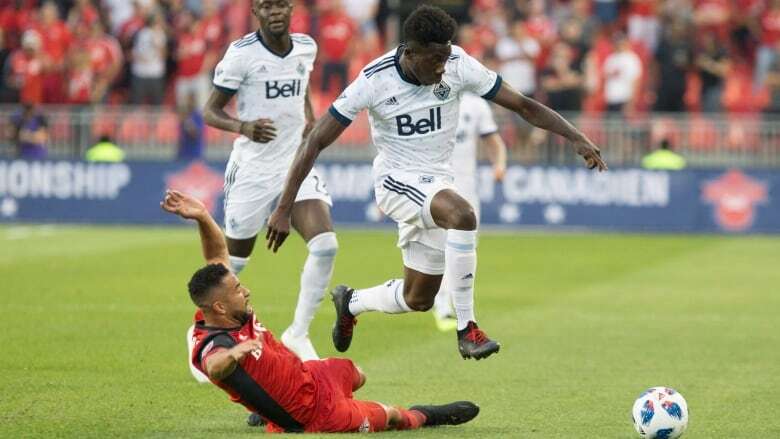 Alphonso Davies is making waves in the soccer world. The 17-year-old was the target of a record-setting transfer deal, recently referenced in a Nike ad, and he's a big part of Canada's effort to make the 2022 FIFA World Cup. All of this happened during the Edmonton-raised player's summer. Nike released an ad on Wednesday that was narrated by football player and activist Colin Kaepernick with a focus on determination. "If you're born a refugee, don't let it stop you from playing soccer for the national team at age 16," Kaepernick said in the ad, in reference to Davies. Davies is currently in Florida training with Canada for a Concacaf Nations League game against US Virgin Islands. John Herdman, Canada Soccer's Men's National Team head coach hasn't seen the ad, but he's heard all about it the team's busy training sessions. "Proud of him," Herdman said. "Proud that we've got a Canadian sort of stepping out there. I think it's our time. It's coming." "I think it tells you the impact he had off the pitch with his speech in the FIFA congress. Just how so well he spoke and also what the kid is doing on the pitch. What a hell of a story that is." 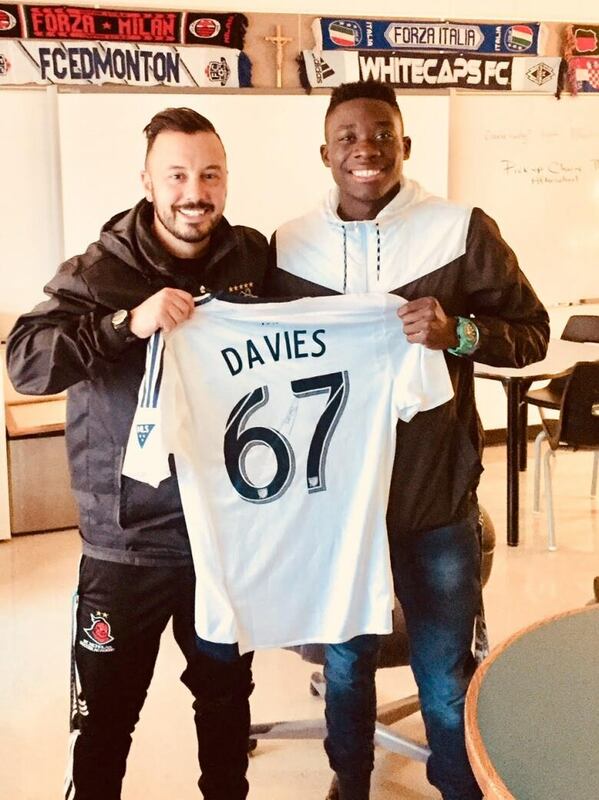 It's not just Davies' rise to potential stardom that's impressed Herdman, but he's been astounded by his poise and determination at training camp this past week. "A lot of good players I've worked with, they tend to just get paralyzed by bad performances or mistakes that they make," Herdman said. "He just looks forward. I think that's a great trait to have particularly with all the confidence. When he's on the pitch, the pace is unbelievable." In late July, the Vancouver Whitecaps finalized a transfer deal to German soccer club Bayern Munich for a record-breaking US$22 million. He'll finish his season with the Whitecaps before playing with his new international team in 2019. Davies started playing soccer in Edmonton after his family moved to the city as refugees from Liberia, via Ghana. He played with Free Footie, a free after-school soccer league for inner-city kids in elementary school. Marco Bossio, director of St Nicholas Soccer Academy, met Davies 6 years ago when he was scouting at a Free Footie game. Davies enrolled in the academy in the upcoming school year. Bossio isn't surprised by the recent success of Davies. He evolved as an athlete and a person while he coached him, he said. Young soccer players who enrolled at the academy this past week, haven't stopped talking about the 17-year-old. "He's showing a lot of my athletes right now that anything is possible, work hard, strive for excellence, Bossio said. "You can make it if you really put your mind to it." "I think Alfonso's paving the way for a lot of future stars in this country."